We all want to get rid of that belly fat. There is no magic wand to make this happen and there is no magic exercise that will instantly give you those flat abs you’ve been craving. It takes a combination of hard work and clean eating. You can do a million sit-ups a day, but if you continue an unhealthy lifestyle you will never see a change! It’s not rocket science… however, we still seem to somehow bargain with ourselves. This bargaining is getting us no where! The truth is you have to alter your lifestyle to promote fat loss from your entire body with a clean diet and a consistent exercise routine. Here is a fool proof list of tips to help you kiss that belly fat GOODBYE! Stay away from processed foods – This stuff is just not natural! Literally! Anything that is pumped with chemical additives, high fructose corn syrup and over-processed nastiness… just cannot be good for you. Cut it out! Try and go for ONE ingredient foods. Know what you are putting into your body. Diet – No sugar, no carbs, high protein, and loads of veggies. Green veggies, colorful veggies, all veggies! Eat a variety of them to keep your taste buds excited! Don’t just stick to the ones you know. Try new and exotic veggies! You never know, you might find something you truly love! And keep the protein intake high! Protein is lean, fights hunger and keeps you full longer! Exercise – You MUST have a consistent exercise program that challenges you. I have always been told to “keep my body guessing.” Don’t just do the same thing every day. Do a variety of exercises each week that fits in cardio as well as full body workouts. Sleep – you need it. your body does not work at 100% without it, so make sleep a priority. Period. Water – Staying hydrated keeps your metabolism up and it can combat food cravings. Can’t say it enough. Water is the nectar of life! Drink it up sisters! Water – I always start any of my fitness and nutrition posts with this. It is essential for your health! Natural Peanut Butter – Peanut butter is full of good fats! It also has potassium, protein and fiber in it and it is a GREAT source of energy. Not to mention, it tastes super yummy! I used to carry a small jar of peanut butter around with me and eat a spoonful if I was craving something sweet. Non-Fat Greek yogurt – Low in calories and carbs but high in protein! Add in some nuts and fruit and it makes a perfect, filling snack. Eggs – High in protein and can be eaten so many different ways! The recipes are endless and these things are easy to eat on the go. We always have a bowl full of hard-boiled eggs in our refrigerator. It makes it easy to grab and go! Blueberries – Blueberries are one of the best sources of antioxidants! Add them to your yogurt or freeze a small baggy full for a sweet, after dinner treat. Oatmeal – Oatmeal is one of the best ways to start your day. A cup of oatmeal contains 6 grams of protein! Oatmeal is also full of fiber. It is a great weight loss food and the fiber in it helps protect against high blood pressure and diabetes. Avocados – Fiber, potassium, Vitamins and good fats are all things you can find in an avocado. So add them to your salad, sandwich or just cut one in half and enjoy! Quinoa – Fiber, fiber, fiber. Quinoa also has proteins and amino acids and is a good source of iron, magnesium and lysine! Prepared like rice and can be eaten with virtually anything! Cook up some of this yummy side dish tonight and reap the health benefits! Summer is coming to a close and many of us are trying to SQUEEZE in a last getaway before it officially comes to a end! Keeping your health and fitness as your number one priority is difficult even under normal circumstances. Throw in a beach, a mountain, a lake, a resort or a just a few days off of work and it can turn into a disaster. Don’t let your vacation turn into a fat trap! Here are a few tips to help you survive vacation without completely undoing all of your hard work! 1. Water – The number one rule of ANY healthy lifestyle is DRINK WATER. It’s a given, but I’ve listed it hear just as a reminder! Obviously those fruity drinks will be tempting and you will (and should) indulge in some of them while relaxing and soaking in the sun. Just try to keep your water intake up! Not only will it help tremendously with your waistline but it will also help ward off an ugly hangover. 3. Choose your poison – A vacation is a vacation and it definitely should be enjoyable! However, choose one meal a day to do the indulging and keep the other two meals and snacks as high in protein and veggies. This way you get to taste those yummy things you’ve been craving (and worked hard for) but you don’t fall completely off of the wagon. You keep yourself in check and accountable this way. So if it’s waffles and syrup that you just can’t say no to then go for it! But keep lunch to a salad full of veggies and chicken and dinner as a fresh fish and green side. It’s an easy compromise that allows you to enjoy while not going completely crazy. Hit the weights – By adding in weights to your workout routine, you will ensure that your muscles are here to stay. Also, muscle burns fat faster! Run like Crazy – Your weight will melt off faster if you add running into your workouts. Try sprints! 100 yard sprints, 10 times in a row will burn fat quicker! Green tea – add this refreshing liquid to your post workout routine. Early morning workouts – Early morning workouts help you start burning calories earlier and this lasts throughout your day. Bonus… you won’t be tempted to skip the gym after work since you’ve already gotten your workout in! Zzzzzzzzz – Getting a good night’s sleep has many health benefits. It will also keep you on track and make you less likely to skip a hard workout, give less than 100% at a workout, and make poor food choices. Ice Ice baby – Drinking cold water has been proven to force your body to burn calories in order to warm your body temperature. Add ice to that water! Lean Mean Protein – Protein makes fat burning possible by boosting your metabolism and helping to build more muscle. Add chicken to that salad, eat a spoonful of peanut butter or snack on a hard-boiled egg! 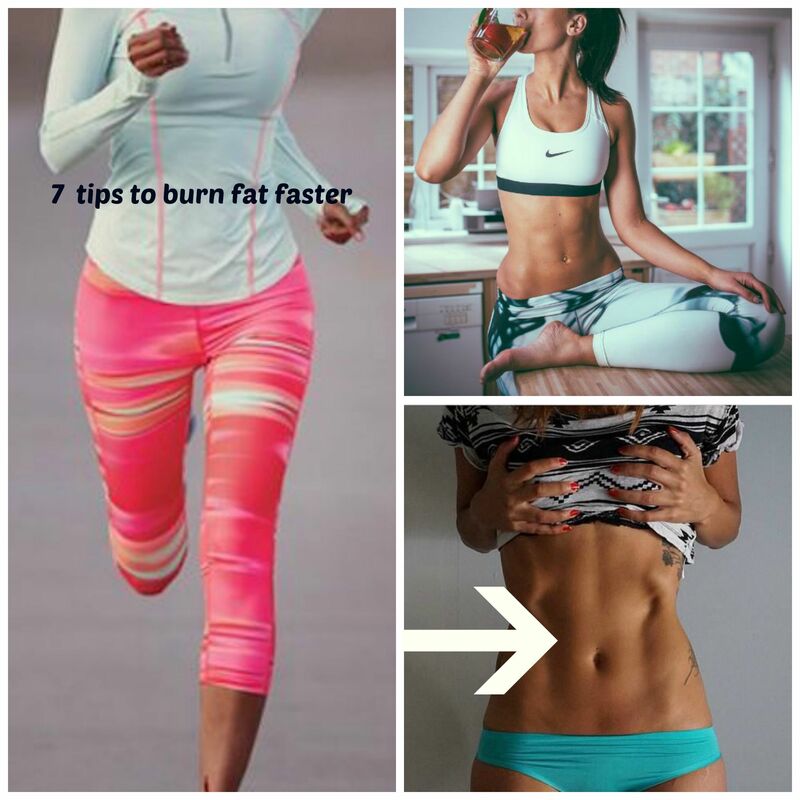 Here are 4 easy hacks to cut the FAT! Cauliflower – You can substitute almost any carb with cauliflower. Rice, mashed potatoes, french fries, you name it! The next time you have a hankering for one of these high calorie foods, consider trying cauliflower in its place. I’ve blogged a few cauliflower recipes before. 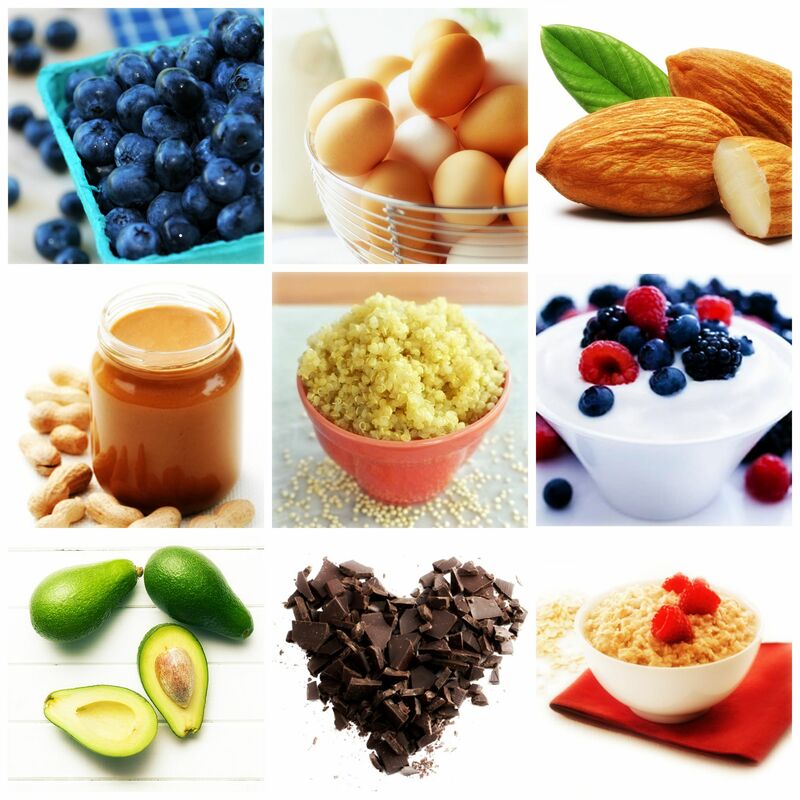 Click HERE to get inspired with some yummy and low calorie fat hacking recipes. Veggie noodles – I LOVE pasta. I could eat it every single day. However, pasta is not the healthiest option. There are a TON of ways to enjoy noodles that are made from vegetables. From Spaghetti squash to zucchini. The opportunities are endless. I recently purchased a veggie peeler (Find it HERE) that has changed my life and has made it easier for me to enjoy one of my favorite meals (spaghetti) as a healthier and more balanced choice. Wrap it up – As in, lettuce wraps! Replace your bread, tortillas and pitas with plain lettuce and instantly cut fat, calories and carbs. This is a no brainer. Water – I know, I know. You’ve heard it a million times before. And I have blogged about it too… but really, there is nothing more important than this one. Cut the high calorie beverages and sugary drinks by choosing WATER instead. Add a little lemon, cucumber or berries if you need flavor. Try sparkling water if you want some fizz! Bottom line is your body needs it, so put the soda cans down and pick up a glass of clear water. Ok beauties. Get to hacking that fat and cutting those calories! Choosing healthier options may be easier than you think! There are a few small habits that can make a major difference in your diet, calorie intake and overall health. Making these small changes are the healthiest and also the EASIEST way to help jump start weight loss. Small changes can add up to BIG results! The next time you are having a meal, snack or drink, give these a try! The possibilities are endless, you just have to think about it and make good decisions when it comes to your health. Make your health a priority beauties! You have to take care of that bod. My husband and I bought a Paleo cookbook not too long ago and one of our FAVORITE recipes was the recipe for the ground beef and spinach muffins. These things are so yummy and the leftovers are super easy to grab and go if you are in a rush and need a quick snack! 2. Defrost the spinach. Remove excess water from the defrosted spinach. You can do this by squeezing the spinach between your colander and another bowl that fits inside the colander. Also you can try squeezing individual handfuls of spinach to try and get the remaining water out. You should have around 4 or 5 cups of spinach when you are done here. 3. Add coconut oil to a large skillet and melt over medium heat. Add the onion into the pan and saute until tender and translucent. 4. Add the meat into the pan. Break up lumps. Add your garlic, salt & pepper. Cook until the meat is browned. Stir in your spinach and make sure it is fully combined with the meat. Set this aside to cool for about 15 minutes. 5. Whisk the eggs. When the meat & spinach are cool, add the eggs to them and blend well. The best way to get this fully blended is to use your hands. 6. Place muffin papers in a 12-count muffin pan. Pack the meat/spinach mixture into a 1/2 cup measuring cup and transfer it to the muffin pan. Use your hands to pack it down tightly into the pan. It will be slightly mounded on top. 7. Bake for 40 minutes or until the tops of the muffins are lightly browned.